The retail industry is arguably the most notable example of how important customer management leverage is. However, even the most forward-thinking retailers still face many challenges as they try to achieve their goals with customer management systems and strategies. The white paper also presents suggestion that support the retailers overcome challenges as well as optimize the benefits of the customer management programme. 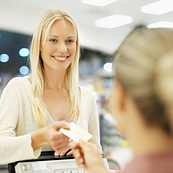 Download " Customer management and its incremental demands for retailers"